ASK was founded in 1975 by a small group of parents of pediatric cancer patients at MCV Hospital in Richmond, Virginia. They joined together to provide mutual support, to search for answers and to deal with the devastating diagnosis. They started to make small changes: collecting books, toys and games to help their children pass the time in the clinic and they organized parent gatherings for support. These parent volunteers became the founding members of ASK. Their mission was simple and remains unchanged today as we continue to strive for ways to make life better for children with cancer. Assistance, Support and Kindness. Three words that sum up everything we do for our ASK kids and their families. 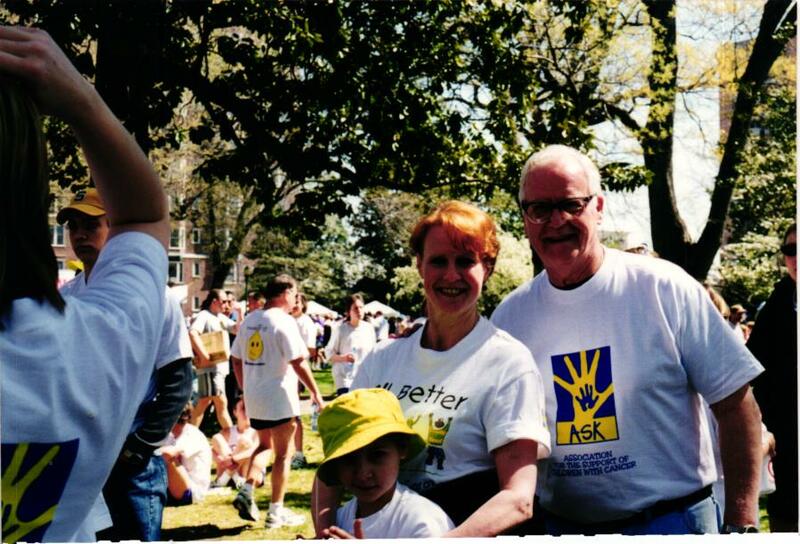 Years ago, the word "ASK" came from our original name - the Association for The Support of Children with Cancer.